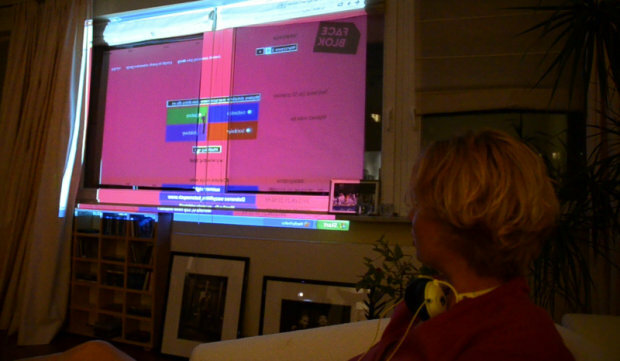 Faceblock was a transitory invention in the modern metropolis. 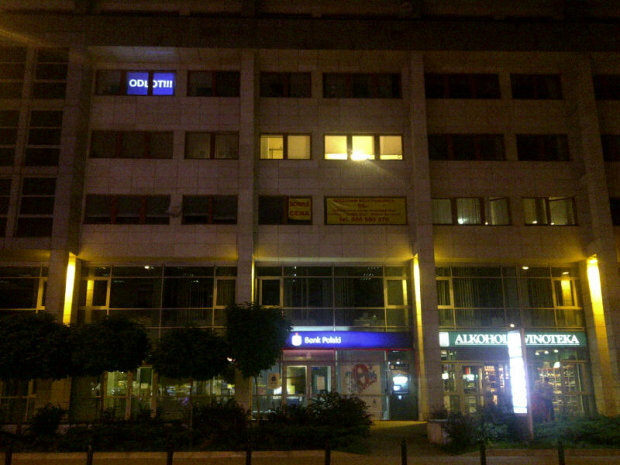 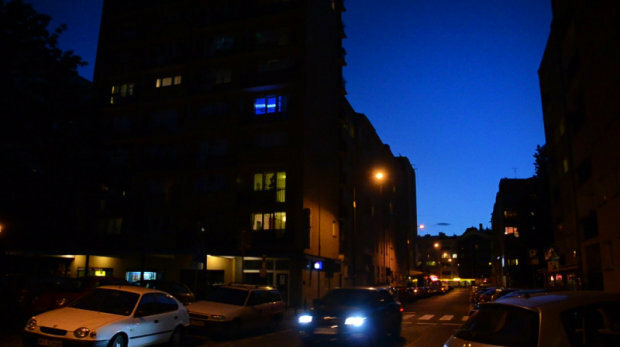 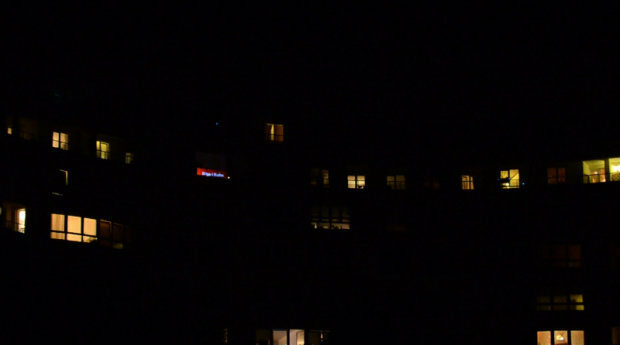 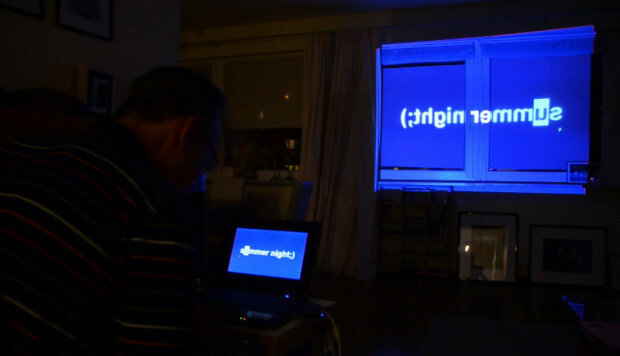 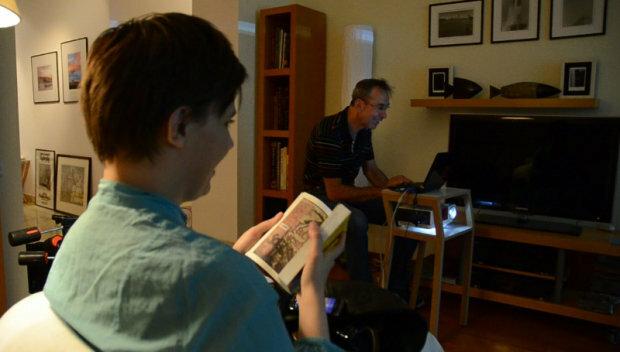 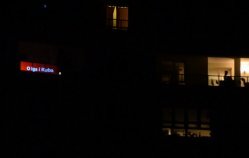 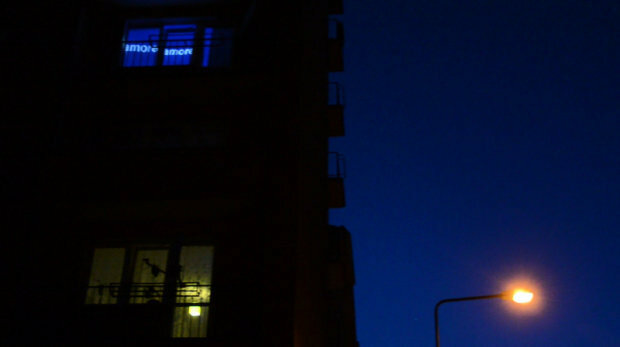 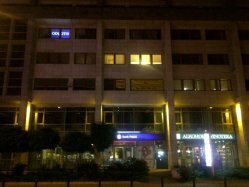 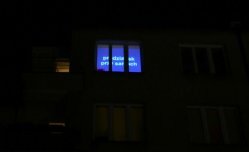 In certain locations - private apartments in Warsaw and Wrocław Agnieszka Lasota had provided the residents with laptops and projectors, and the windows turned into screens that could be seen by the passers-by and neighbours outside the building. 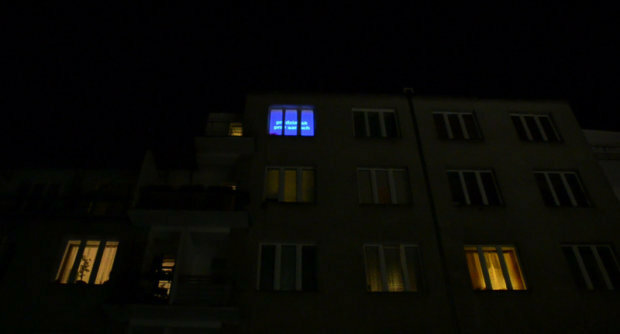 Each of the participants had to log into the website www.faceblok.com.pl and create their own password which was projected on the window. 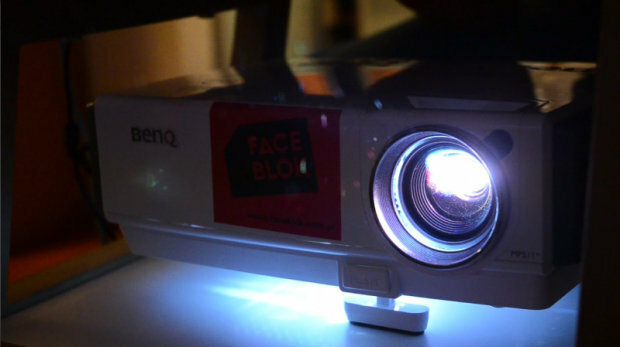 On the website www.faceblok.com.pl you could find other participants. 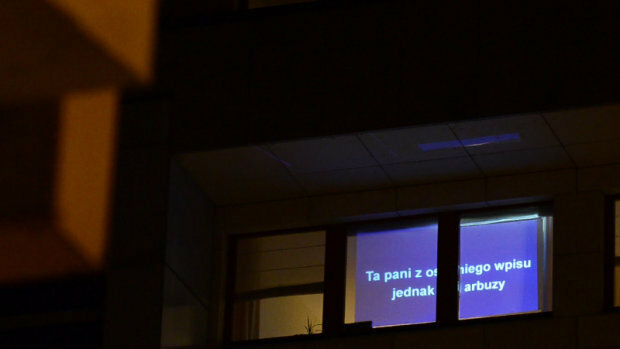 The artist initiated a dialogue between the window-screen and the simple one-way form of outside communication, using the popular way of corresponding, in which the conversation is replaced with a concise way of talking using digital communicators. 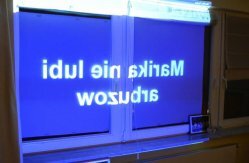 It is clear that public displays were showed on the internet and in effect we cannot tell what is true and what is virtual. 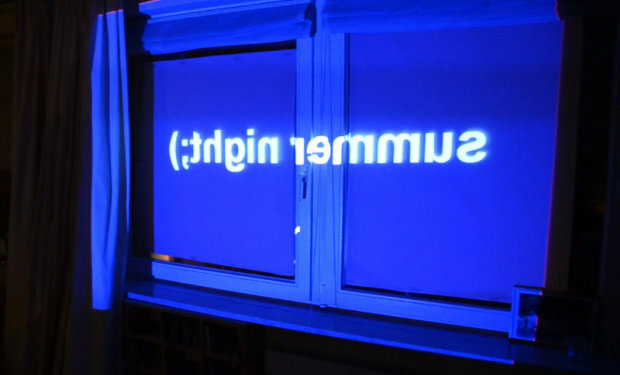 In the Faceblok project the participants used the internet and tried whether a personal message sent by someone would function in reality. 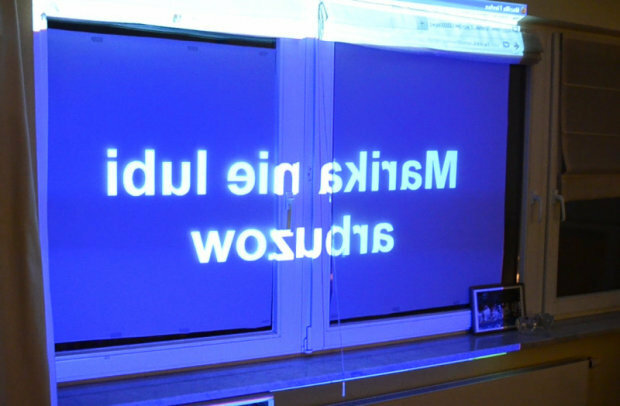 In this way digital communicators were brought out into the real world and the boundary between them fade away.